See also here my release blitz posts for additional information like excerpts and cool teaser pictures. I love to present you my release blitz and review post of Christina Lee & Felice Steven’s latest – and totally surprising – collaboration, Last Call. It’s their first collab & has not two hot main character, no, it’s actually a MMM, a ménage story. My dear follower, today’s the day where I want to share my review of Felice Steven’s latest book All or Nothing. You got my release blitz post yesterday & I already shared my cover reveal post with you. My dear follower, today’s the release blitz of Felice Steven’s latest book All or Nothing. 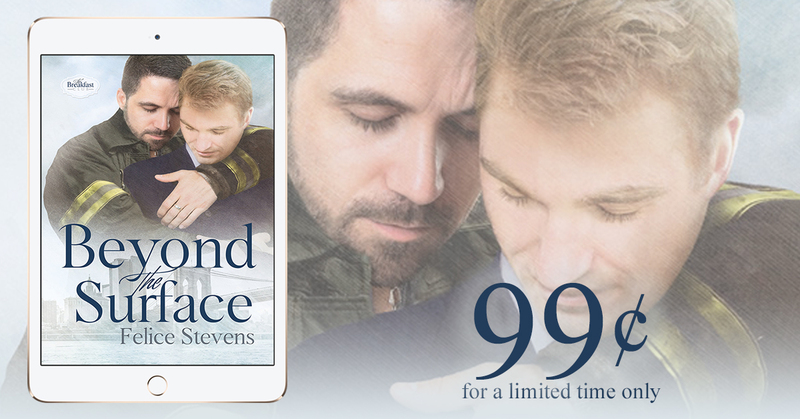 Beyond the Surface by Felice Stevens is just 99¢ for a limited time! I am soo excited to be part of the cover reveal of Felice Steven’s upcoming book All or Nothing. The Arrangement, a steamy and emotional MM romance by Felice Stevens is just 99¢ for a limited time! My release day blitz can be read here. 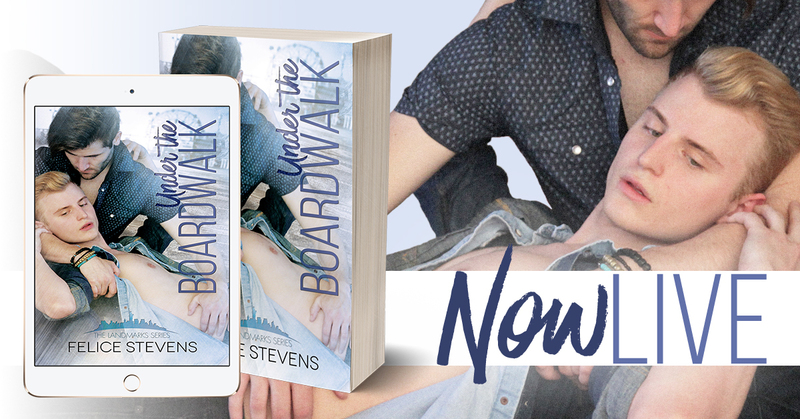 Lovely reader, well anticipated, now here: Felice Stevens’ Under the Boardwalk, the first book in the Landmarks series (co-written series with Kade Boehme) is out today. My review to the first novella in the series (but can read as a standalone, too) , Ferry-Tale by Kade Boehme can be read here. The review for Under the Boardwalk is scheduled for August 14, so stay tuned for this. :3 You don’t want to miss what I think about the book, right? Be prepared for the latest book by Felice Stevens: The Shape of you. Read my review and also check the teaser picture. I highly recommend the book. I hope you like it as much as I. Happy reading. The release blitz to this entry was posted earlier. Have a look here.